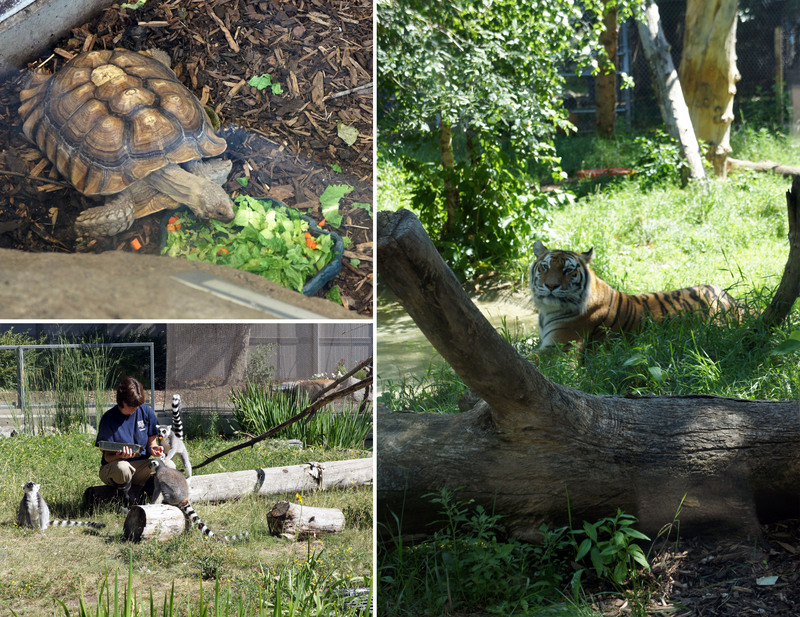 Goin’ to the Zoo, Zoo, Zoo…. 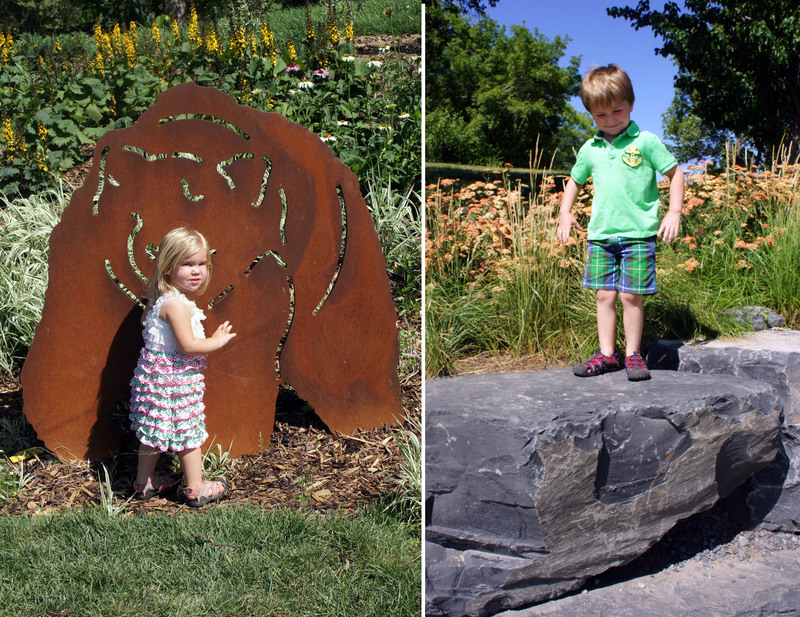 One of our Summer Bucket list items was to visit the zoo. 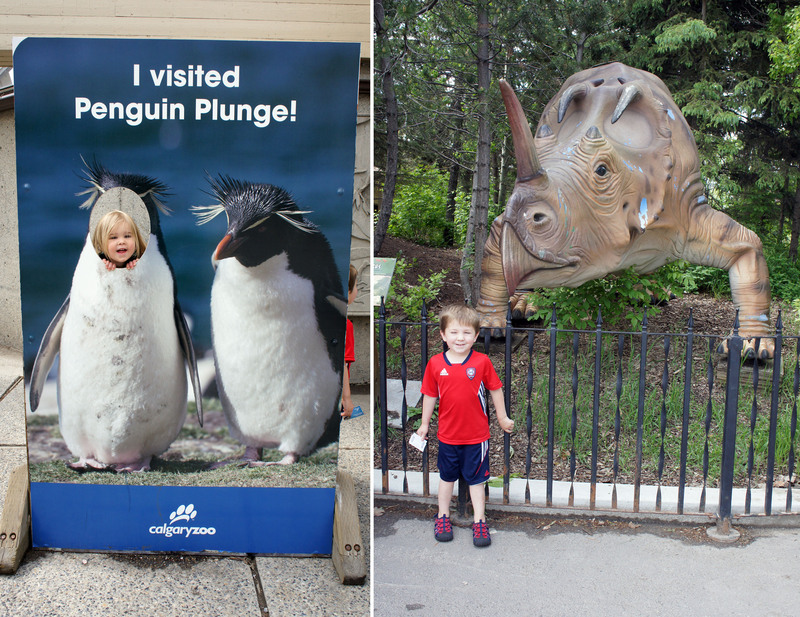 We have managed to complete this Bucket List item twice over, at two different and amazing zoos: The Calgary Zoo and the Edmonton Valley Zoo. Back in June we made a weekend trip to Calgary to visit my sister. The main purpose of the trip was to pick out the paving stones we wanted to order for our patio, but we decided to make an entire weekend of it. 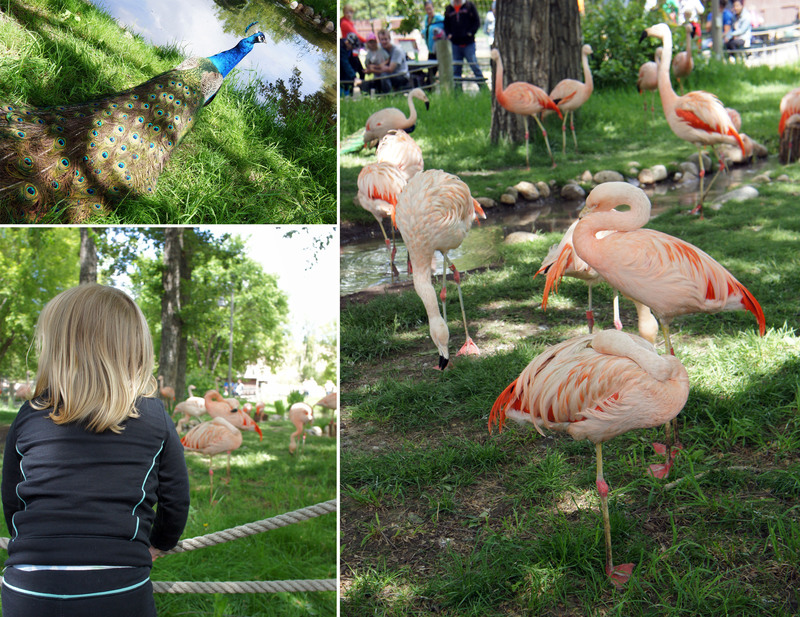 I looked at other things to do with the kids in Calgary, but ended up coming back to the Calgary Zoo again because it was something we had done before and enjoyed. I knew the kids were going to like it, but I was still surprised by just how excited my 2 year old animal lover got over seeing all the creatures. I had brought our folding wagon along because I know it is a lot of walking, but my two year old was insistent on walking almost the entire zoo on her own so she could see all the animals up close. Nothing beats seeing the excitement come over a young child when they spot an animal in one of the habitats! 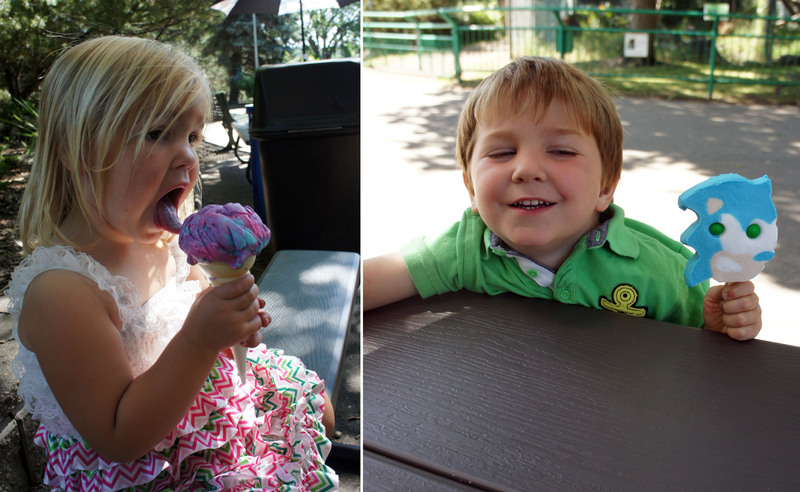 And, of course, like most of our outings this summer, there had to be ice cream. 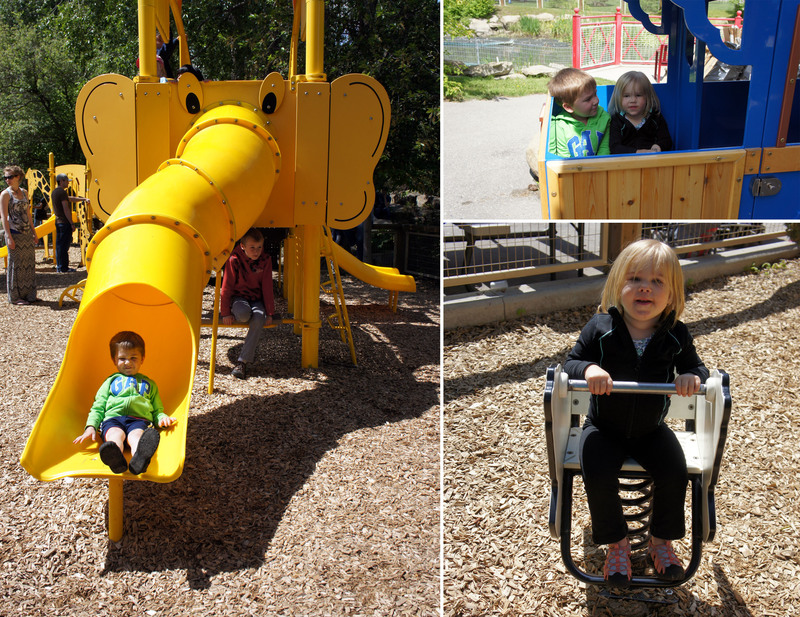 After our ice cream break, we headed to the back of the zoo where I was excited to see they have added on some kid friendly attractions such as a carousel, train ride and a great playground. It was a nice break from the walking and the kids were excited to try out the rides and animal themed park. 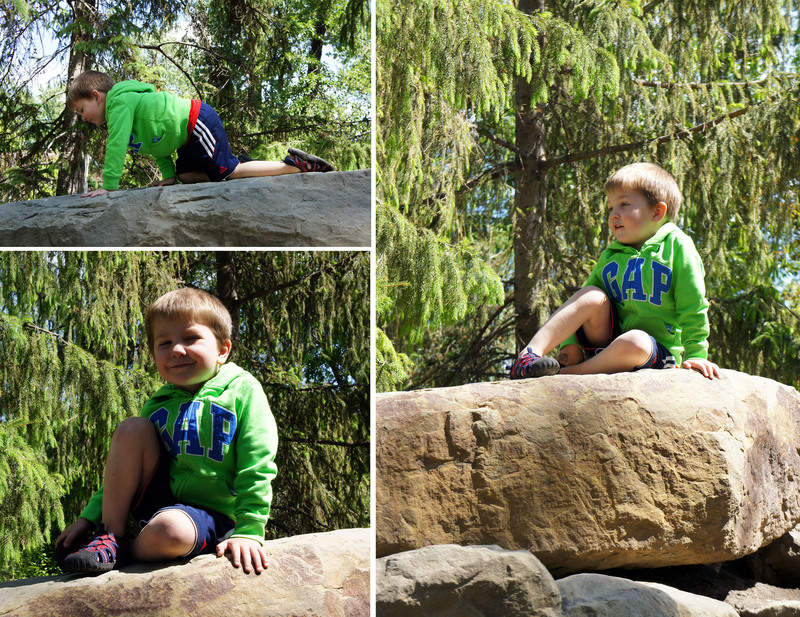 Camden also discovered some large rocks that he happily climbed. 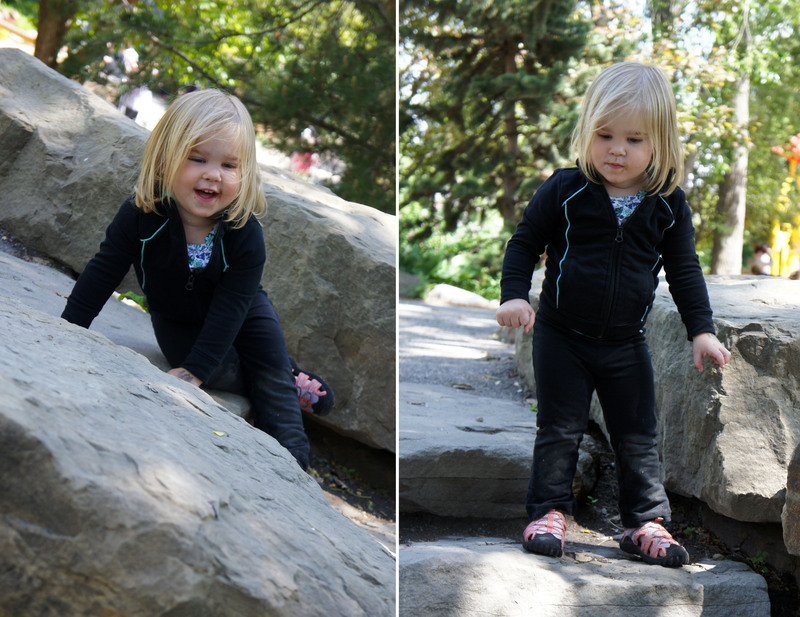 And in true little sister fashion, Keira had to get in on the climbing action too! The dinosaur park has been there for as long as I can remember. 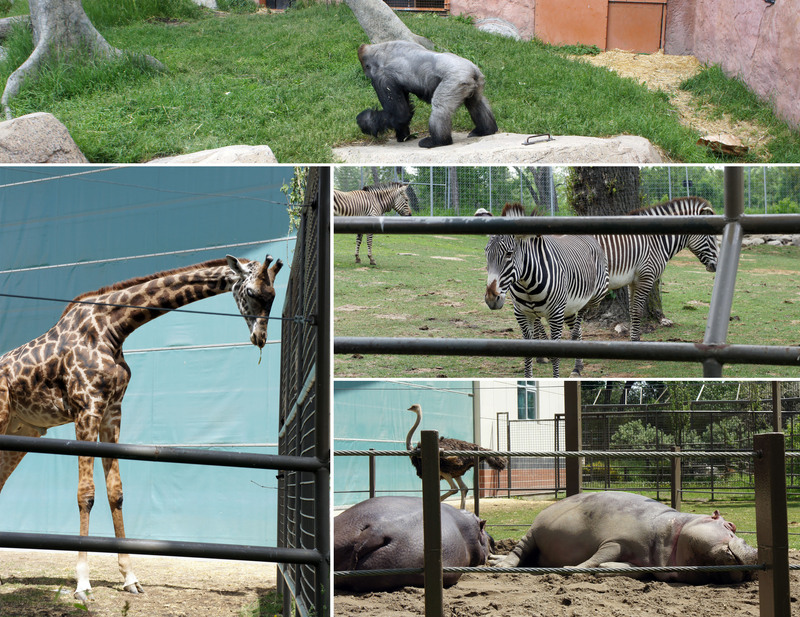 I remember enjoying it as a kid, but since it is such a big zoo we have ended up skipping over it the last few visits. 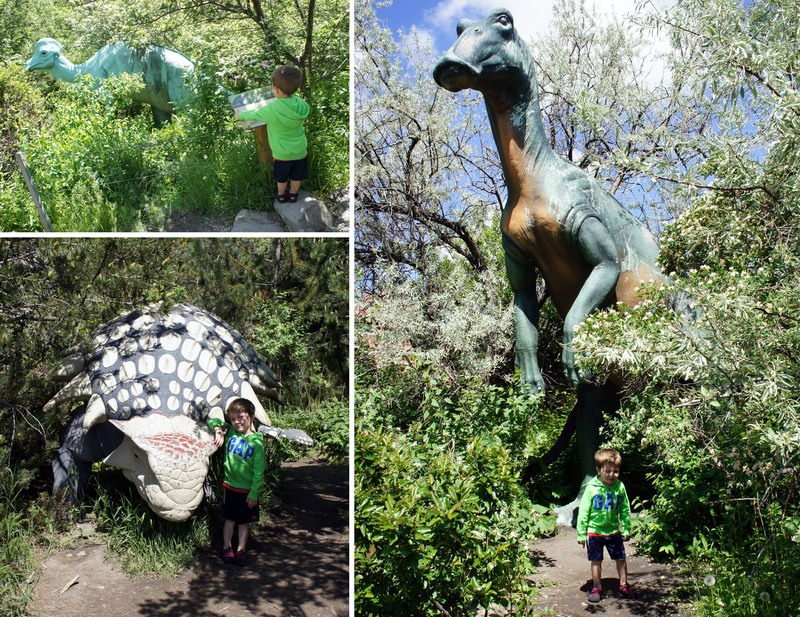 This time Camden seemed pretty interested in seeing the dino’s so we decided to take a walk through the Prehistoric area where we discovered all kinds of different dinosaurs along the path. And, we finally got to see the penguins on our way back out. 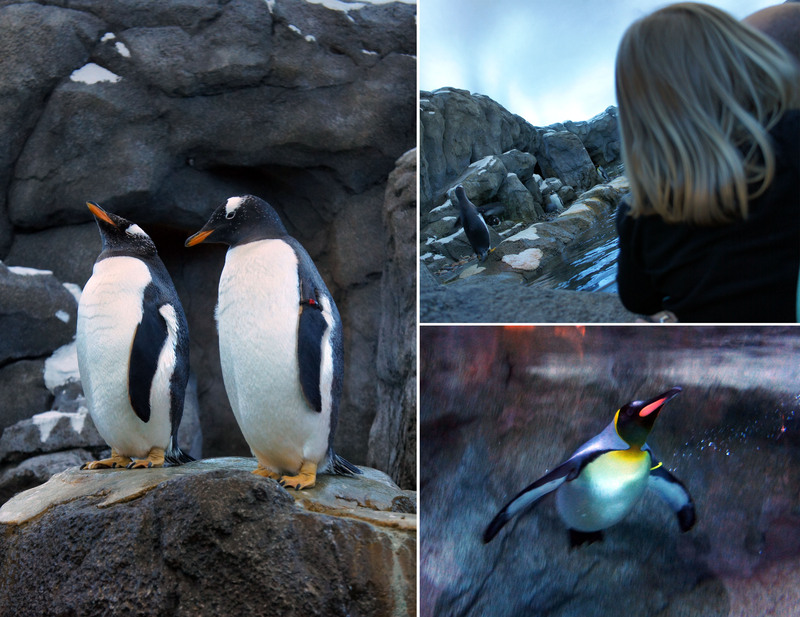 I think Keira could have spent the entire day just watching the penguins swimming and waddling and hopping around their Penguin Plunge habitat. I don’t blame her, this is one of my favorite parts of the Calgary Zoo now too. 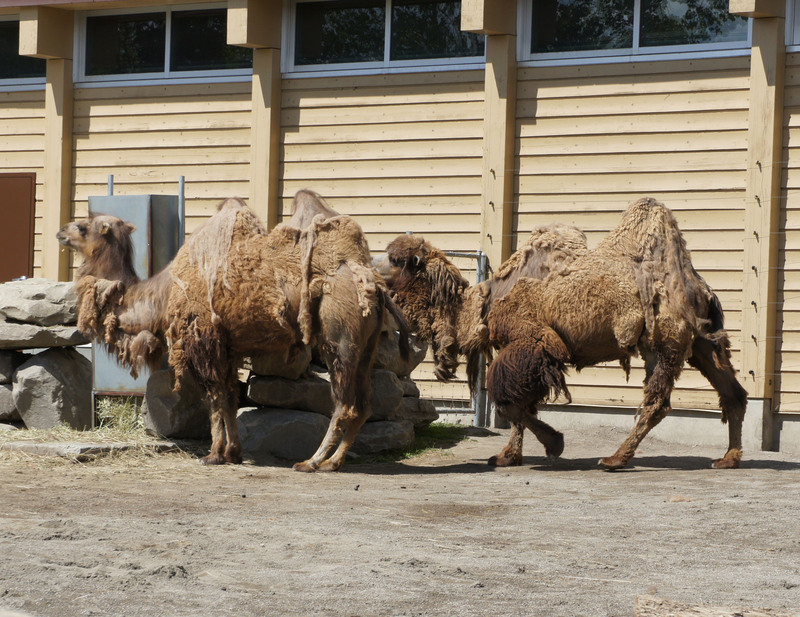 I can’t say enough about how impressed I am with the improvements to the Edmonton Valley Zoo. Before it didn’t even compare to the Calgary Zoo, but the new entrance and expanded facilities has it looking more and more like a “real zoo”. I don’t know how, but some how we managed to miss seeing the biggest animal at the zoo – Lucy the Elephant. She must have been out when we passed by her cage and then we didn’t see her out on her walk as we made our way through the rest of the zoo. I was a little disappointed since we didn’t get to see any elephants at the Calgary Zoo either, but there were still plenty of other amazing animals to look at. 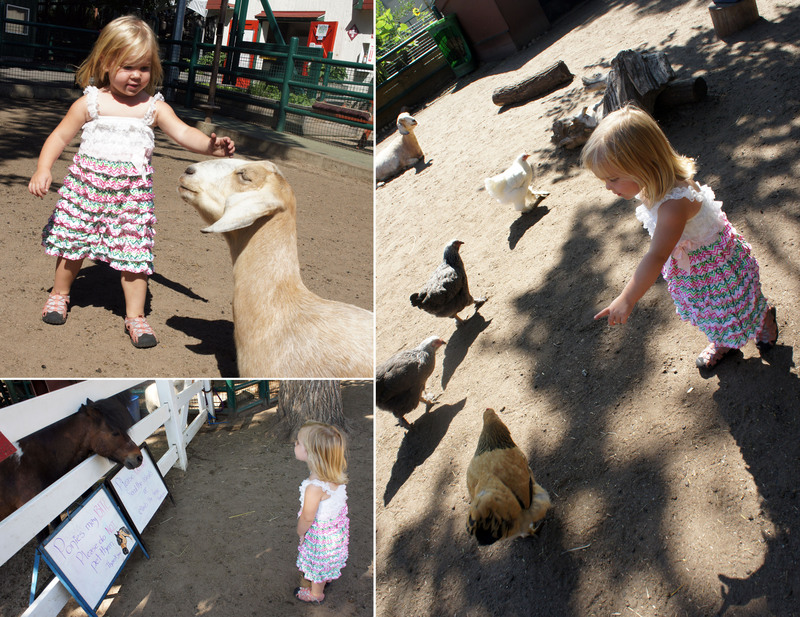 One thing that hasn’t changed in decades at the Edmonton zoo is the petting zoo area, now known as their Urban Farm. Camden sat it out so he wouldn’t have to wash his hands after petting the animals, but Keira was right in there with the goats, sheep, ponies and chickens. This kid really has no fear when it comes to animals and I love seeing the excitement on her face and the jump in her step with each new creature she gets to come face to face with. Another highlight is the train that runs past the Urban Farm and through a tunnel. 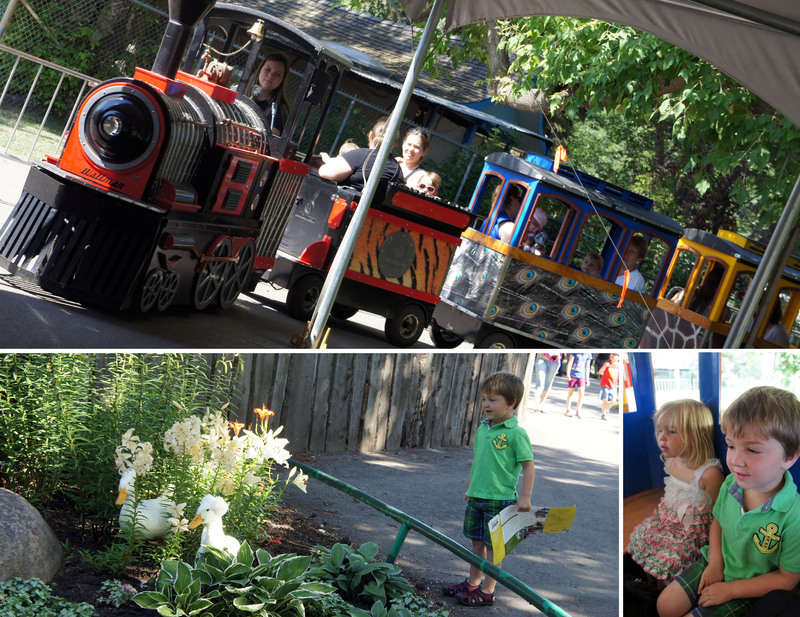 It is a short ride, but the kids love it and there always seems to be a pretty good line-up to get on the train. I also love that this attraction is now included with admission, whereas we had to buy tickets to ride the similar train at the Calgary Zoo. 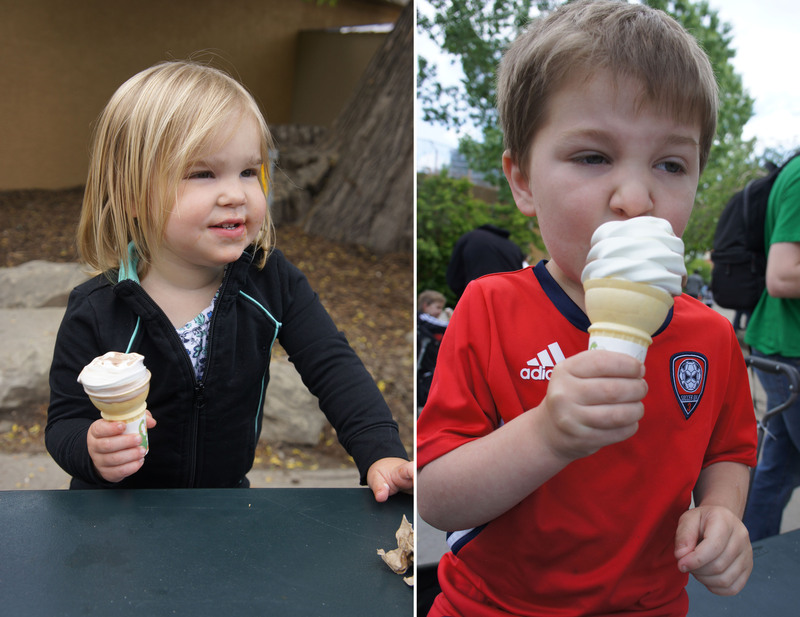 And I must say the Edmonton Zoo has Calgary Zoo beat hands down for ice cream selection. They have a concession stand dedicated solely to frozen treats where you can find any kind of popsicle or hard ice cream flavor you could ever want. Camden was pretty darn excited to pick out a Sonic popsicle complete with gumball eyes! 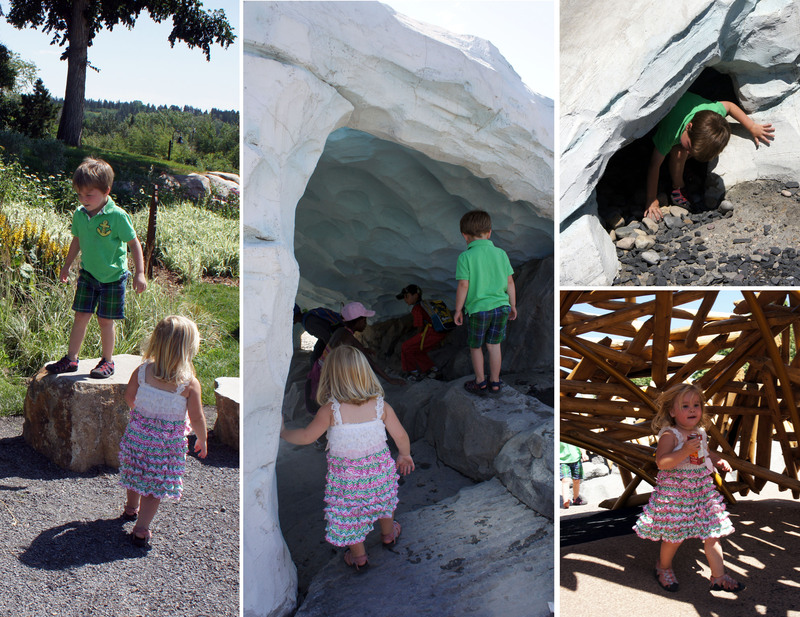 In the newer area of the Valley Zoo is a whole section of rocks and tunnels meant to be climbed through and explored. It made it a little hard to keep track of my two kids, but they had a great time. I particularly liked the giant beaver house the kids could walk right into. Although they were two different trips, there were many common elements that made for a fun day. For my kids you seem to be guaranteed a good time if there are interesting animals, a train ride, big things to climb on and ice cream! And the marker of a good time for me? Two happy, sleeping kids in the backseat after both visits!